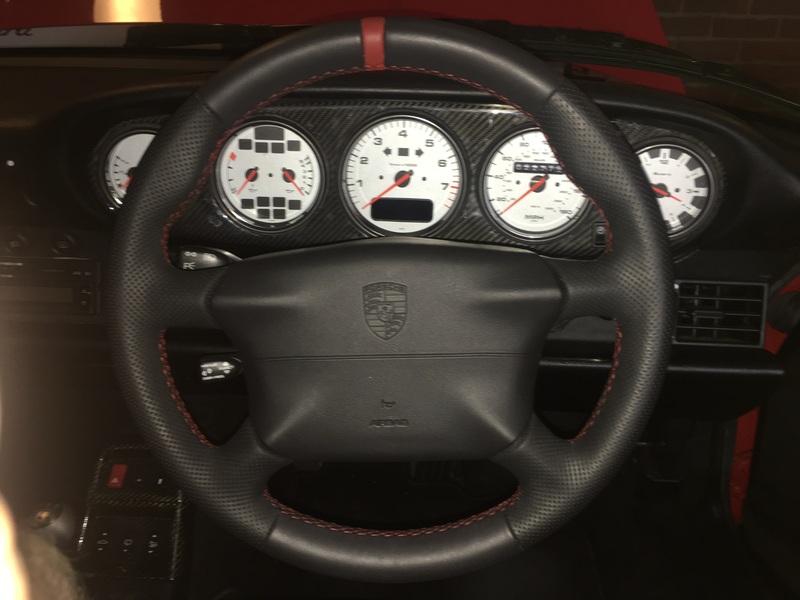 For sale is my Porsche 993 Black leather steering wheel with red stitching and black airbag. The wheel is listed as new condition as it has absolutely no marks, scratches or any wear or tear at all. I have owned my Porsche C2S for over 10 years now and have done just 4K miles(now stands at just over 22k miles in total)in that time and have it serviced every 2 years at Porsche East London. I had the steering wheel refurbed by Jack at Royal Steering wheels just over a year ago now and have done less than 200 miles in that time. 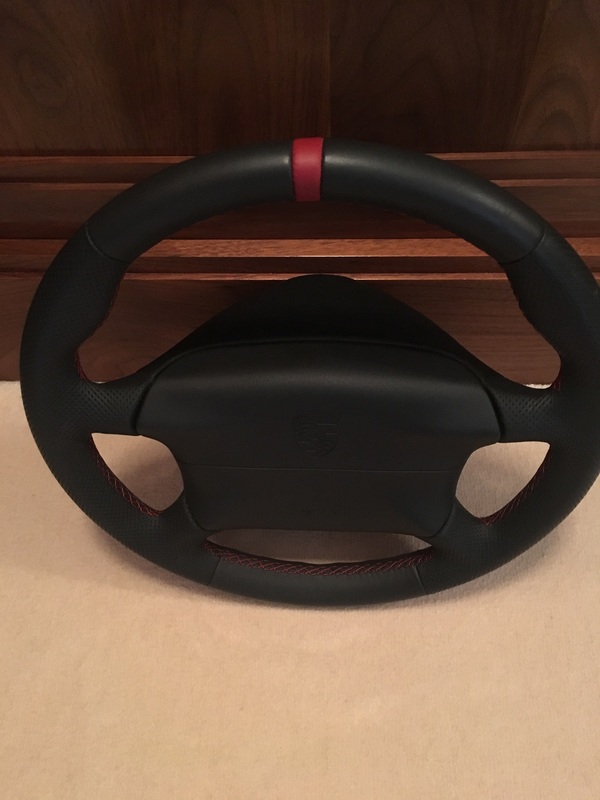 The steering wheel was like new before being recovered but I just fancied having it slightly thicker and also red stitching on it as well as the red leather band on it at 12 o’clock mark. 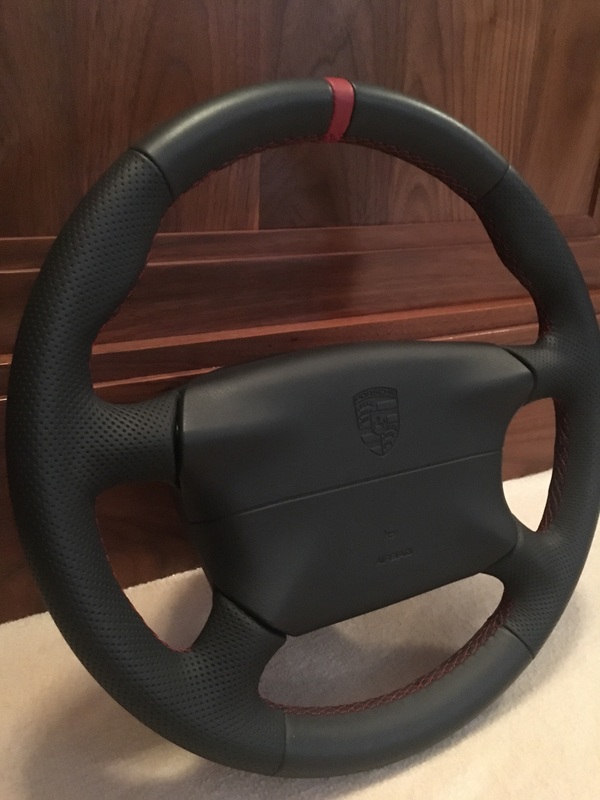 Reason for selling is that I just managed to source a brand new OEM carbon one that cost me £1600!...to match my carbon gearknob and handbrake. So hoping to get a little bit of money back on my original one. Will be packaged extremely carefully in order to protect it and sent recorded post. Hoping to get around £400. Please message me on here or private message for any further I formation you may require. Many thanks for looking. shame you had not waited for a carbon pack one, I have one I am taking off a car on Monday. that will be half what you paid and I have the match hand brake. Good luck with the sale, your black wheel looks lovely. Ebay is probably your best bet. Try and list when they have one of their £1 or similar listing offers to avoid their heavy fee's. List it on an auction basis rather than a buy it now as there are always a few of these for sale in varying condition and prices, most remain unsold for weeks, months & years... An auction advert will see it find its true value IMO. 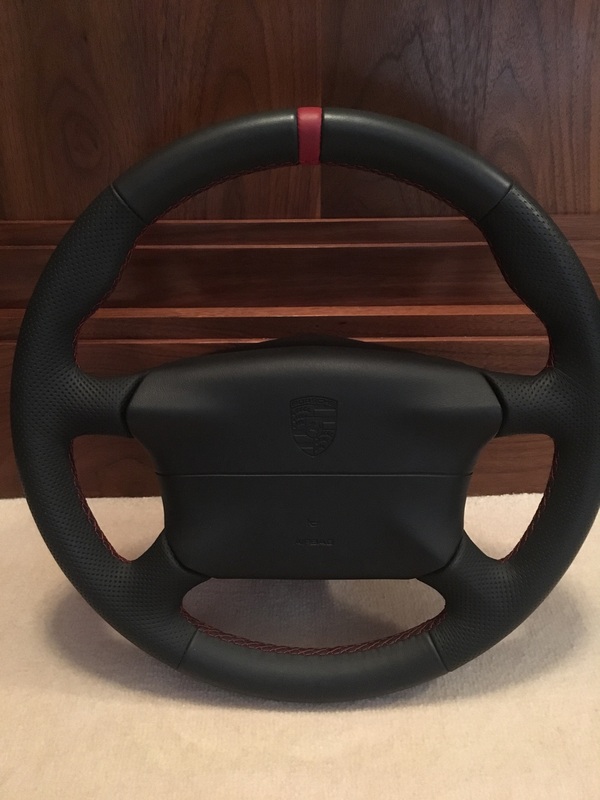 Ash is the steering wheel still for sale?